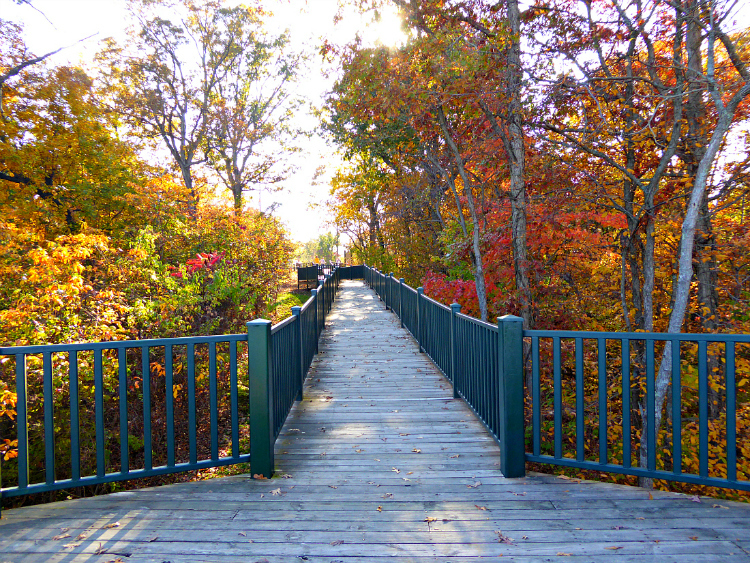 The Missouri Mom: 6 places in Cape Girardeau, Missouri to Photograph this October. 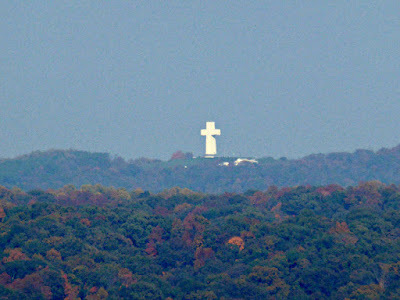 6 places in Cape Girardeau, Missouri to Photograph this October. The Bill Emerson Memorial Bridge in Pink- this was shot from the Red Star Boat Launch. During the month of October the bridge is pink in honor of Breast Cancer Awareness. Spectacular views can be seen from the riverfront in Downtown Cape Girardeau, Missouri. The Bald Knob Cross from Trail of Tears State Park lookout - on a clear day, with a good camera or a set of binoculars you can see the Bald Knob Cross from the lookout at Trail of Tears State Park. You have to look closely or it will blend in. 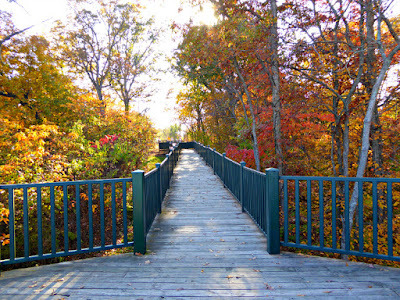 Trail of Tears State Park - rather you decide to lace of up your hiking boots or just visit the lookout the park is full of fall color. Cape Girardeau Nature Center has this amazing little hiking trail behind the building - few know how many fall features you can find on the trail. 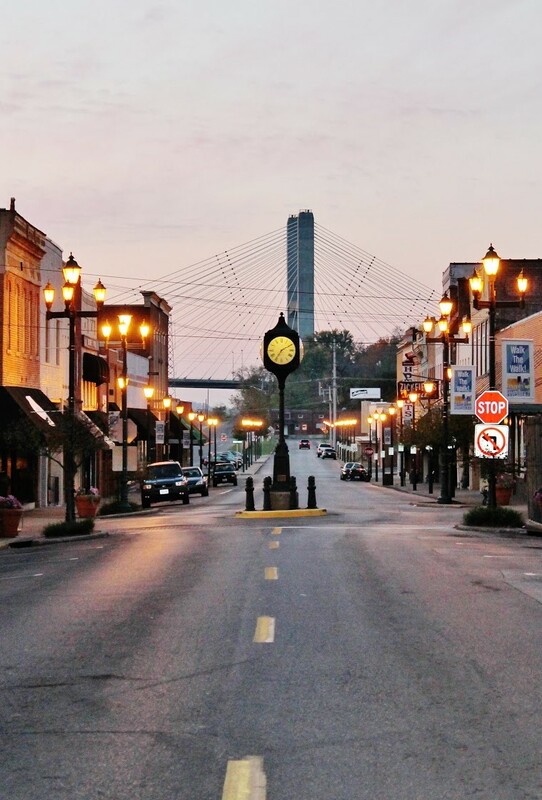 Main Street in Downtown Cape Girardeau at sunrise. Any other time of day this place would be full of people, cars, and noise. At sunrise you can sneak peaceful images like this! 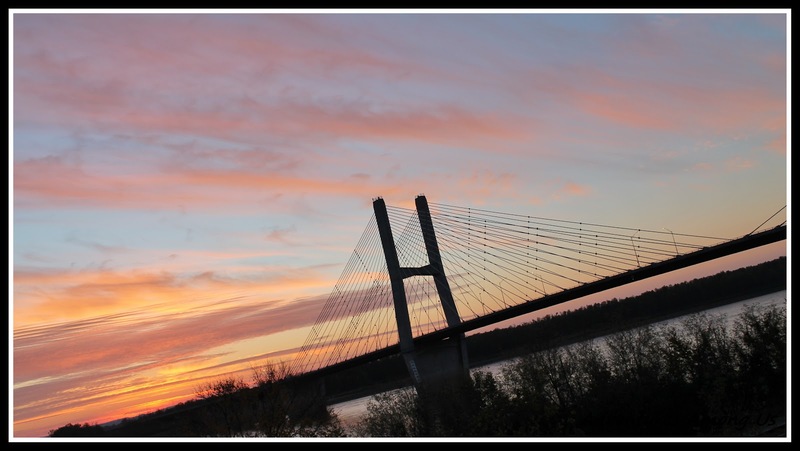 The Bill Emerson Memorial Bridge at Sunrise - while it is worth seeing in pink it is also worth seeing with your first cup of coffee!